Ashwaganda (Withania somnifera)‚ also known as Indian ginseng‚ is a gentle herbal approach for treating minor symptoms. It offers many potential health benefits, such as anti-inflammatory and antioxidant protection. 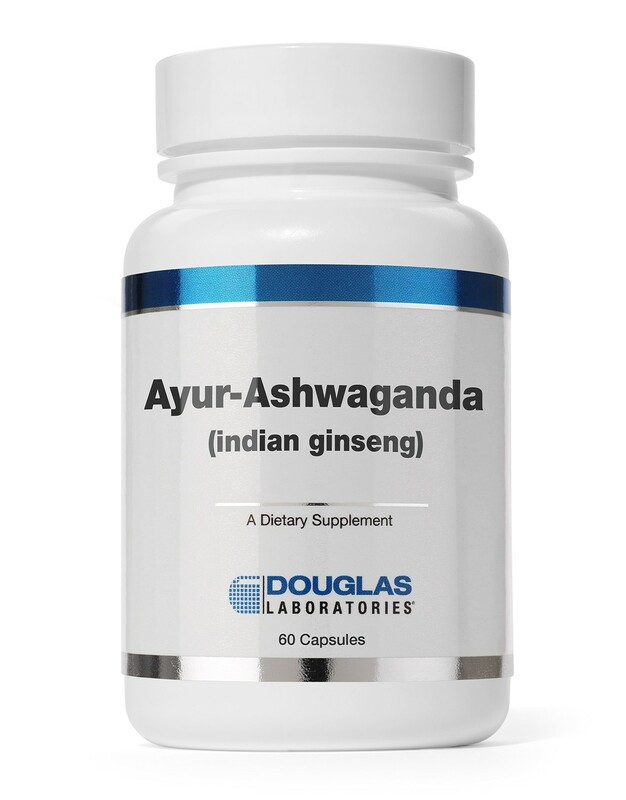 For centuries‚ traditional Ayurvedic medicine has used ashwaganda to build energy‚ reduce inflammation‚ and prevent illness. The active ingredients in ashwaganda, withanolides, are thought to have calming properties that can support the body during times of emotional and physical stress. It may also support cardiovascular, immune, cognitive, and joint functions while improving mental and physical performance. These capsules do not contain common allergens such as dairy products‚ soy‚ wheat‚ gluten, or yeast; they are also free from preservatives. 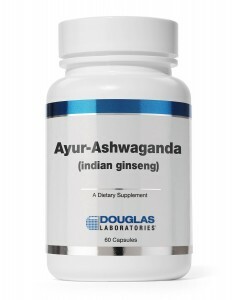 The recommended dose of Ayur-Ashwaganda (Indian Ginseng) by Douglas Laboratories is one capsule twice daily. Adults take 1 capsule daily or as directed by the physician.